Miami Dade, Broward, Hillsborough, Pinellas, Orange, Osceola County's and areas. (City of Tampa, City of Orlando and surrounding areas). (City of MIAMI and MIAMI DADE County). STOP THE BURGLAR AT THE POINT OF ENTRY BEFORE HE CAN EVEN REACH YOUR PROPERTY. We place these big WARNING SIGNS all around your property. 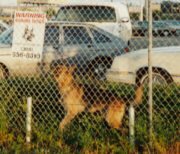 THIS GUARD DOG IS PROTECTING A USED CAR LOT. If your business has a burglary problem and you would like one of our security consultants to visit your business, please call our 24 hour hotline 305-978-5500 peace of mind at night. Our service is inexpensive and very effective. We can provide you with referrals from multi-million dollar companies in the South Florida area. Security, unfortunately, is a business expense in today's business world due to the high crime rate in our metropolitan areas. Protect your business today by calling us immediately. We hope to provide your business with the high quality of security in the near future. Our drivers are equipped with 2 way radios, and cell phones. This allows us to communicate, and respond ASAP to any emergencies in order to provide our customers with the best response time in the business. Our drivers leave our Kennel at 2:00 a.m. and start their routes very early in all 4 counties. We show up at your business one hour before you open for business every day. ( 7 days a week, 365 days a year, with 24 hour CUSTOMER SERVICE.) 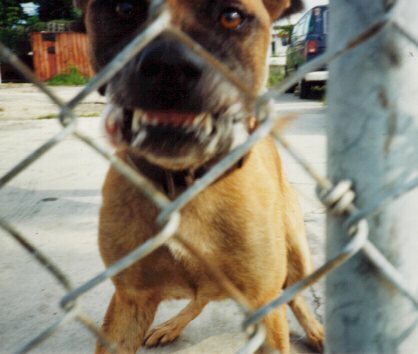 We lock up the dogs, and clean up after them. We leave your business ready for you to open for the next day of business, but most importantly you won't have any burglary problems. Your property will be well protected. Then when you get ready to close at the end of the day. 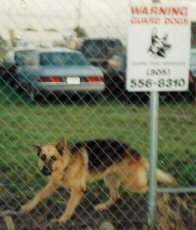 Your manager or security guard in charge of closing will release the Guard Dogs from the OUT SIDE of your perimeter fence. The Guard Dogs will PROTECT your business while you are closed. Then the process repeats itself. The Guard Dogs live on site. The cage looks like this. Most people think it's a garbage bin. The cage is located next to your perimeter fence. It has a release mechanism from the outside of the fence with a pad lock. We will train your personnel on how to use it safely. It's a good option if you want the Security K9's dropped off at night and picked up in the mornings, or loose always until further notice from client. 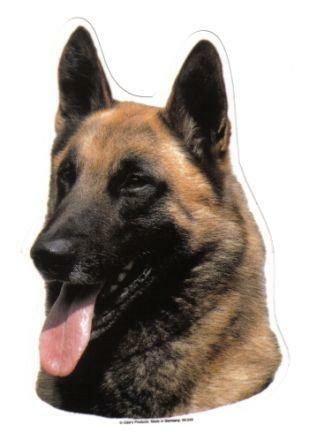 Burglar Alarm Response. No More Calls from your alarm company central station in the middle of the night. We respond. $2,000,000 General Liability Insurance Certificate at inception of service. Licensed in the State of Florida and in each County we service. Deerfield Beach, Pompano Beach, Coconut Creek, Coral Springs, Tamarac, Weston, Davie, Lauderhill, Pembroke Pines, Miramar, Hallandale, Hollywood, Wilton Manor, Light House Point. Hudson, Springhill, Zephyr Hills, Land of Olay, San Antonio, New Port Richey, Brooksville, Lakeland, Dade City, Sebring, Weeki Wachee, Avon Park, Lake Whales. Orange, Osceola, Hillsborough, Pinellas, Broward, and Miami Dade County's. Please call our office for a free security consultation.